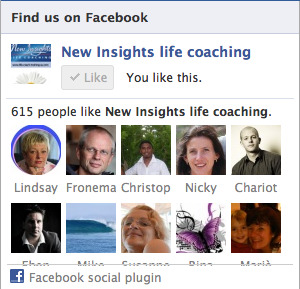 Insights, the newsletter, has become Life Coaching Insights, the blog! It's still free of charge but the new format makes it easier for you to comment and interact with us. BUT ... if you would like to continue receiving notifications of the weekly blog posts you will need to subscribe soon. As a courtesy to Insights readers we will continue to send reminders through this newsletter until the end of October. After that, if you haven't subscribed to the new blog, you'll miss out. Please take a minute of your time now to SUBSCRIBE to Life Coaching Insights using the link below. When you've done that please UNSUBSCRIBE from Insights using the link at the bottom of this newsletter. You will received an automated response asking why you have left - please just ignore this. This last weekend as Jenni and I contemplated the forthcoming arrival of our daughter's 21st birthday, I thought it might be appropriate to compile a list of 21 Tips for leading a more joyful life. No doubt you have some of your own to add? Or perhaps you would like to add comments on my list? Whichever that may be, I'd love to hear from you!